A little over a year ago I blogged about my experience working with the Marvel API (Examples of the Marvel API. It’s been a while since I took a look at it and I thought it might be fun to combine the Marvel data with IBM Watson’s Visual Recognition service. The Visual Recognition service takes an image as input and Watson’s cognitive computing/computer vision intelligence to identify different items within it. 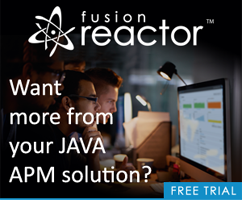 I reviewed this service back in February in context of a Cordova app (Using the new Bluemix Visual Recognition service in Cordova). At that time, I wrote code that directly spoke to the API via code in my hybrid mobile application. For this though I wanted to make use of Bluemix and a hosted Node.js application. Selecting a comic will load it and then begin the call to Watson’s Visual Recognition service. The service will use the cover as input and try to find things within it. I've split out my Marvel and Visual Cognition code in their own files to keep my app.js nice and slim. cfenv is a helper library for Node.js apps on Bluemix to make it easier to use environment variables and oservices. You can see some code I commented out for Dust support. I ended up not using any template engine as my entire app was one HTML view and two Ajax calls. And you can see those two Ajax calls at the end. Easy-peasy. </ul> Ok, let's look at the Marvel code. To be fair, this is pretty much the same as I built for my "random comic site" (see the first link) but modified to return all the results for a search. Create a new app with Bluemix and select the Node.js starter. Add the Visual Recognition service. If you haven't installed the command line, do it one time. </ol> The entire process is roughly five minutes. I can then use the command line to push up my code to Bluemix. 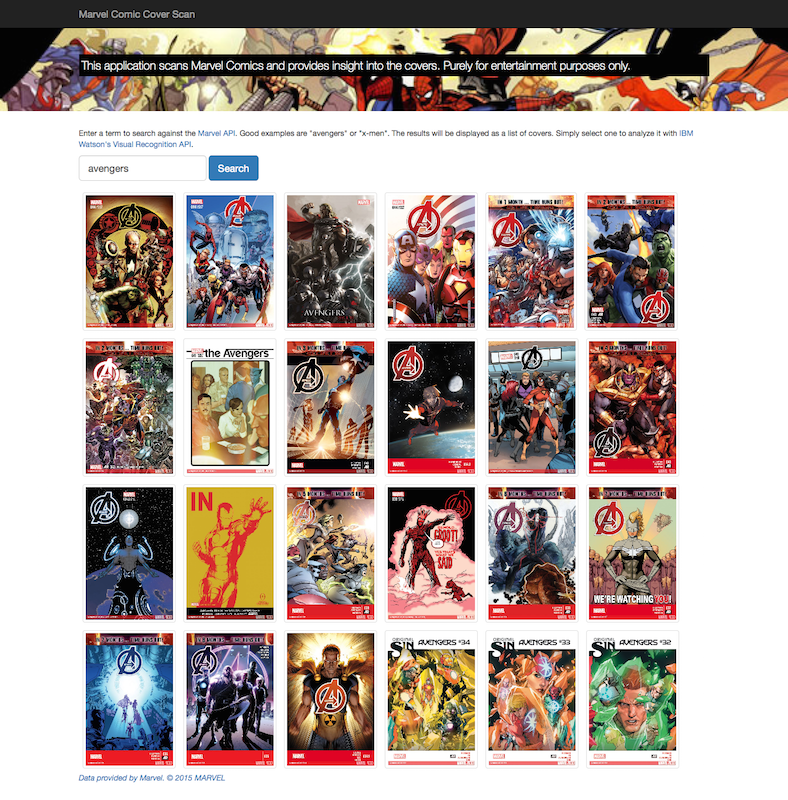 You can see the final app yourself here: http://marvelcomicrecognition.mybluemix.net/.